The Lady Eleanor Suite boasts a decadent gold queen sized bed, with a stunning feature wall and soft, luxury carpets. 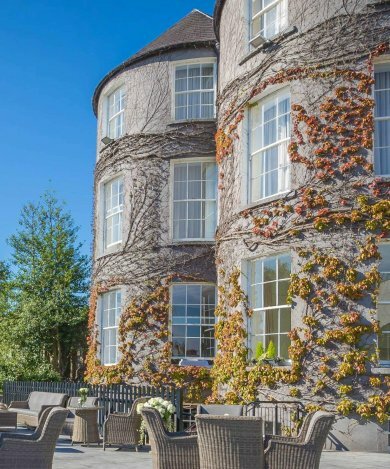 The bedroom has large bow windows with lovely views of the walled garden and Kilkenny Castle. 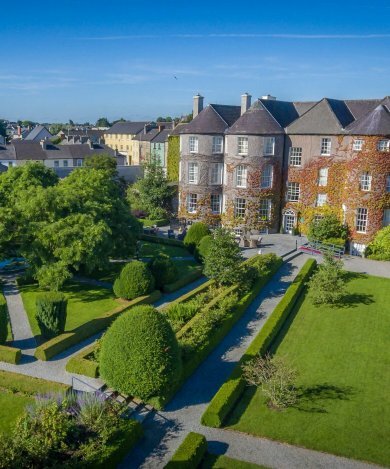 The presidential suite is also the only bedroom at Butler House Hotel in Kilkenny with original decorative plasterwork ceilings and a magnificent fireplace.